PDFSpeech will help you read more. 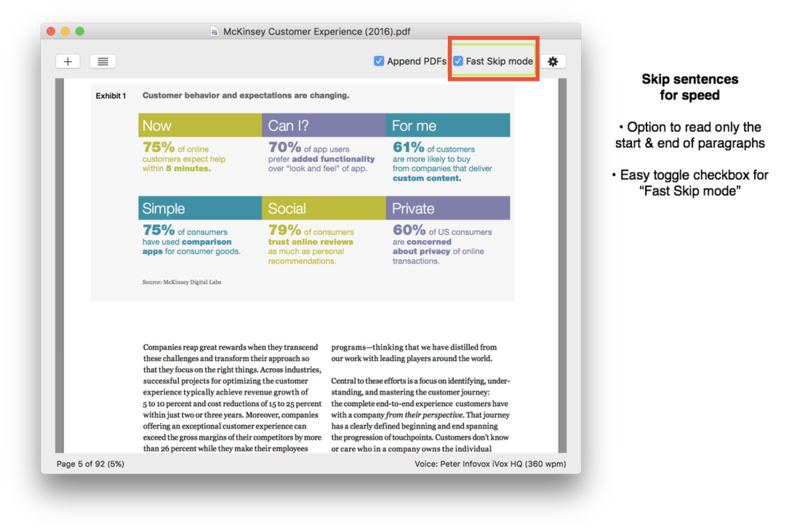 It taps into text-to-speech (TTS) technology built into macOS to help you zip through PDFs. With great tools at hand, you’ll look forward to reading a book cover to cover, and even read an entire chapter in one sitting. PDFSpeech strives to banish the effort involved in reading, and it adds invaluable momentum to help you complete your biggest reading tasks. Open a PDF and double-click on a word to start reading. PDFSpeech works with text-to-speech voices bundles with macOS, or purchased separately. 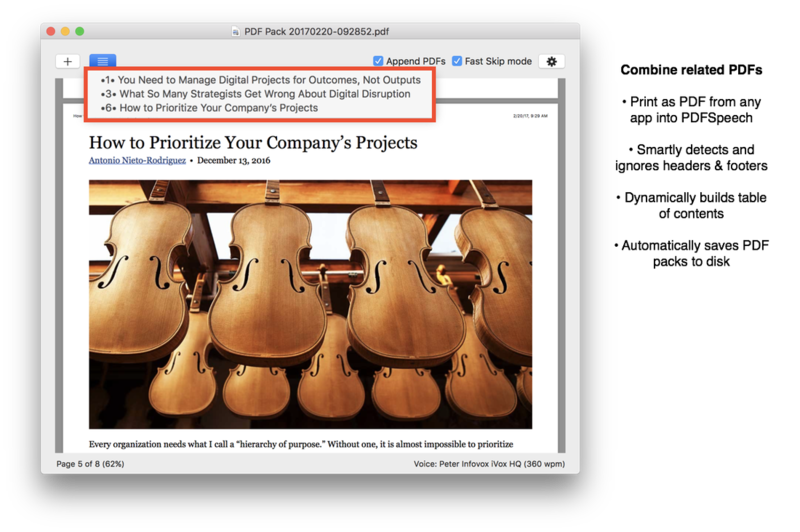 Use the Fast Skip mode to read faster or when you just want the big picture. Works great for web articles, scholarly PDFs, and even textbooks! A PDF Pack is a merged PDF comprising of multiple PDFs. Create these packs directly in PDFSpeech. Use the table of contents button to navigate through the PDFs in a pack. 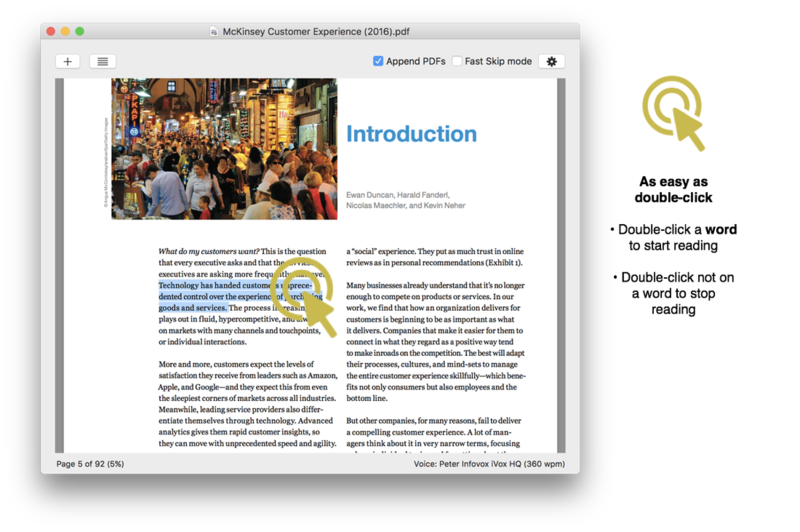 Any rich text, copied from the web or a Word document, can be imported into PDFSpeech. Optionally, use the built-in rich text editor to satisfactorily edit the text before conversion to PDF. 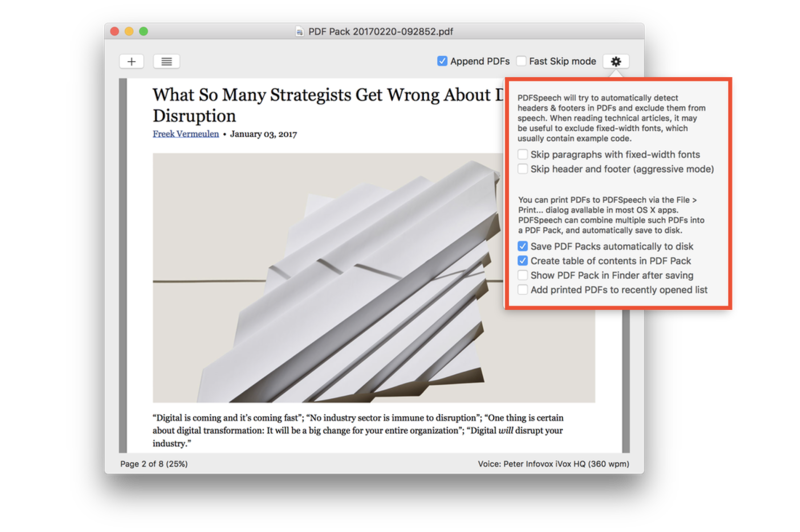 Use the powerful macOS "Print to PDF" feature to send content from any app to PDFSpeech. 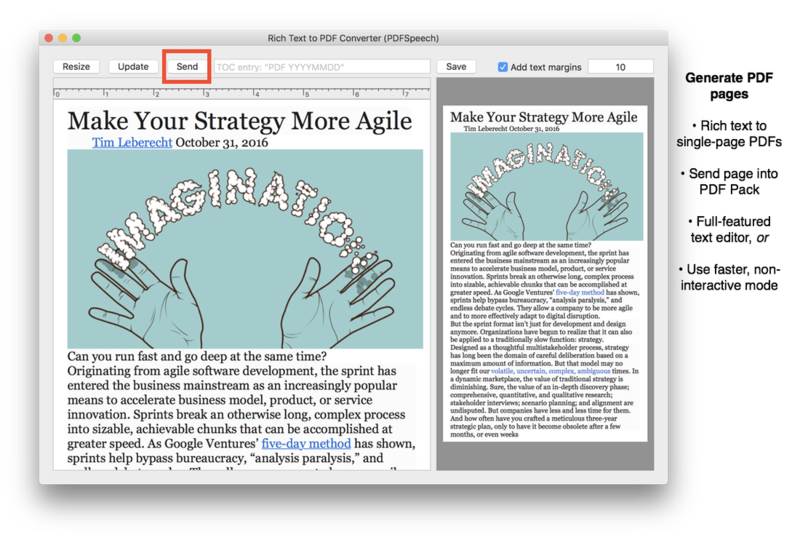 PDFSpeech can merge these prints into a single PDF pack, and grow the table of contents accordingly.